We understand that it is difficult when a loved one needs help to function independently at home. Our three state-certified Adult Day Centers provide quality care for disabled and older adults and support for family caregivers through a nurturing, compassionate option that benefits participants and family caregivers alike. 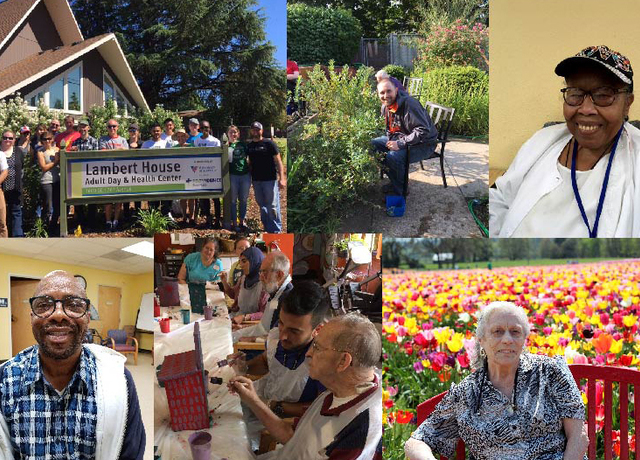 The Lambert House and Marie Smith Center are community-based medical and social models of age. Our adult day centers offer daytime respite services for caregivers and provide a supportive, therapeutic, and empowering environment for seniors and adults with a variety of health-related needs. 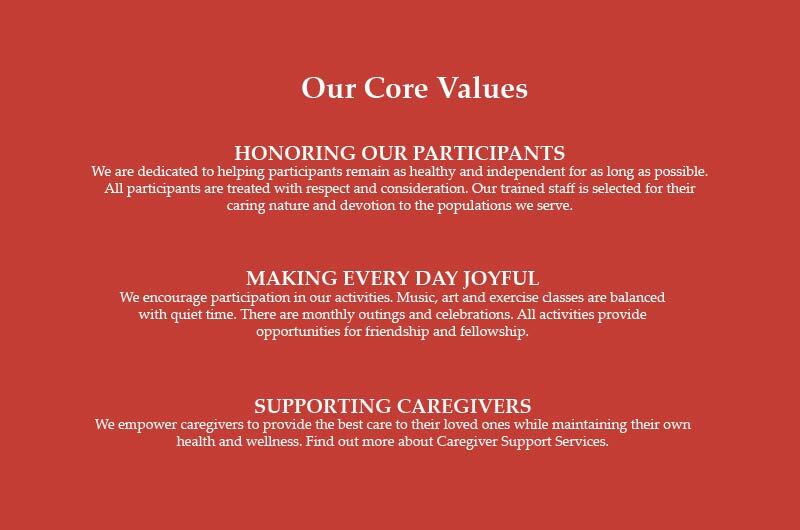 Caregivers not only gain respite, but also assistance through the program's advocacy, coordinated care, and support staff who bridge the gap between community partners. Our model is an innovative alternative to a community-based care that gives individuals with disabilities purpose, the ability to form friendships while reducing isolation, and receive participant-driven care. The Sundance program is intentionally designed to capture the time of day when individuals with progressive cognitive impairments and/or dementia may experience an increase in challenging behaviors known as “sundowning." These behaviors can include wandering, increased care needs, confusion, and agitation; many of these behaviors have been shown to stem from unmet needs, including boredom and frustration from inactivity. Monday, Wednesday, and Friday 7:30 a.m. to 4:30 p.m.
Tuesday and Thursday 7:30 a.m. - 3:00 p.m.